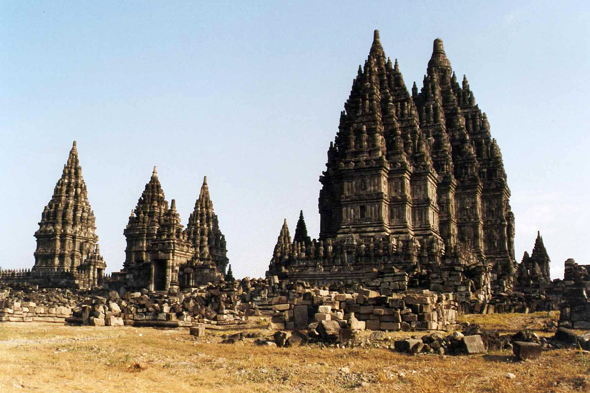 Prambanan is the name of the commune on which many Hinduist temples (Candi) are rised. Raised at the beginning of Xth century by two princes, Balitung and Daksha. The principal candi (mausoleum sheltering ashes of an important character wanting to be the incarnation of a divinity) is the Lara Jonggrang with its three parts: a square enclosure of 390 side m; then 224 candis Perwana; a medium terrace of 222 m side, finally a higher base of approximately 100 m on side with temples and chapels.